One to one training is a great way to improve your skills really quickly, as well as being extremely flexible. It is tailored to your personal needs, and carried out at a time and date that is convenient for you – including evenings or weekends. It can take place at your home, or anywhere within a 10 mile radius of Chesterfield (mileage charges apply for locations further afield in Derbyshire). You can book as much or as little as you need, with the minimum session being for only 2 hours. Further training sessions can be arranged as required, at any time. 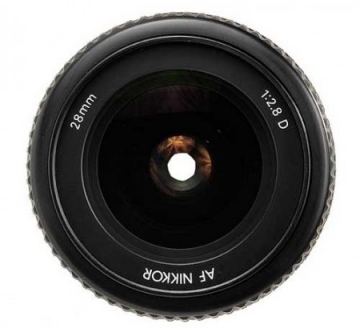 This is suited more to users of prosumer, mirrorless or digital SLR cameras. Training can take place anywhere in the Chesterfield area, or a location can be chosen by me using my extensive local knowledge of Chesterfield and the Peak District area to find the subjects that most interest you. As an experienced Nikon user, I am well placed to show you how to get the best from your Nikon digital SLR. I can show you some of the less obvious advantages of your Nikon camera – and some of its quirks as well. In a short time, you will feel more comfortable with your Nikon, and be able to concentrate more on taking photographs than on buttons and dials. You’ll also see how you can use the free Nikon software that came with your camera to import, view and edit your images on a computer, and how it – uniquely – can give you information that will help you to improve your photography. Because I already have the software installed on my laptop, this training can take place anywhere – even out in the wilds of the Derbyshire Peak District! While Adobe Photoshop is the best known photo editing software, it is no longer the one recommended for day-to-day photographic editing. That badge has now passed to Adobe Lightroom, which was designed specifically for the needs of digital photographers, is much easier and quicker to learn, and much cheaper than Photoshop as well! 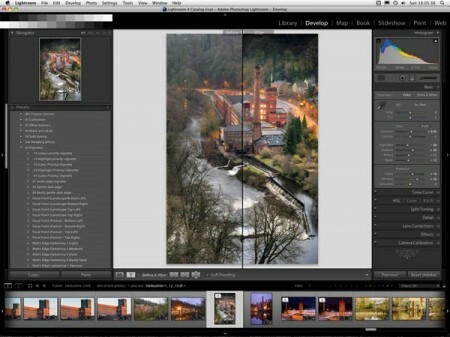 While Lightroom is considerably more user-friendly than Photoshop, it is still a professional level application for organizing and editing images, and one that takes some time to learn – particularly if you are new to photo editing. For both Lightroom and Photoshop training, you can either use your own computer, or else I can provide an Apple Mac for you to work on (both applications are cross-platform, with only minor differences between Mac and Windows versions). If you would prefer to learn on a course with a group of other people, rather than on a one to one basis, please click on the image on the left for details of digital photography and Lightroom training courses in the Peak District, Derbyshire and Sheffield area.